Every student in the UK needs to be perfect in the English language, since it is the official language for lectures and other educational activities. If you are a foreign student taking law for example, you may need help with law essay writing as you work more on your vocabulary. Who said that learning English must be a boring task? Well, you can make it full of fun and addictive by playing games that can improve your vocabulary, like the ones listed below. Scrabble is one of the most popular English improving games worldwide, and can be played by two people or more. A scrabble player earns points by placing tiles on the game board to form words, and each tile has letters on it. Letters like Q, Z and X that are not frequently used have more points than the ones that are often used like A, E and I. To improve your English knowledge, you can add suffixes and prefixes to the words that are already on the game board. You can play on the traditional board, Scrabble App or online. 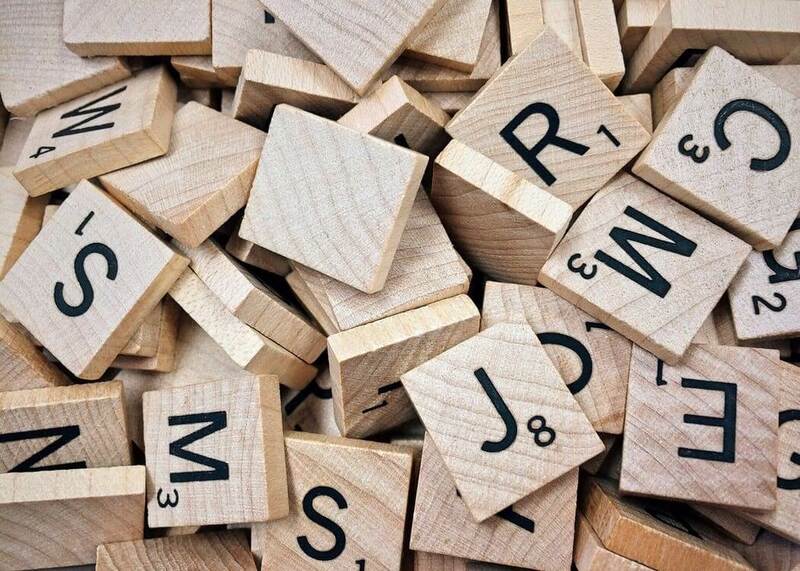 Scrabble is available in other languages other than English and is a very interesting and quick way of learning new words. Crosswords puzzles are in the form of a grid with white and black squares. The white squares have numbers, and your main goal is to fill them with words from left to right or from top to bottom. You are given a clue with a number and the number of letters that each required word contains. It is one of the best games to learn English. It is played by one person, but you can obviously seek help if need be. Crosswords are available in every daily newspaper in English-speaking countries and can as well be found online and on other print media like puzzle books. Charades is a party game that can have two or more players. You write clues on pieces of paper and mix them, and then every player picks up and acts what is on the paper as the rest try to guess the message. Its main intention is to make every player think of English meanings of actions, thus improving your comprehension. This traditional English game is ideal for any situation that calls for relaxed minds and carefree attitudes like parties. This game requires one to be witty, since you need to convince your playmates to believe your lies. You have to write down three facts about yourself; out of which, two must be true and one must be false. You'll then read them out and let the other players guess which ones are true and which one is a lie. They can even as you questions on your facts to establish the truth behind them, so you should be ready to explain yourself. Hangman is one of the most popular games played by students in UK, in a team of two. You think of a word and then for each letter in the word, write a line on a piece of paper. Let your partner guess the word by first guessing the letters that make up the word. If your partner guesses a letter correctly, write it down. For every wrong guess, draw a gallows and a person being hung. If he or she succeeds in guessing the word before your drawing is complete, you lose and he or she wins; If you finish drawing before the correct guess, you win and he or she hangs. That way, both you and your partner can improve your vocabulary. Trips are a common thing in the life of students, either for academic purposes or merely for leisure. That is why it's important to get essay writing help from professional writers to create time for your trips. The aim of the game is to jog your memory and to see how long you can play before someone forgets an item in the list. 20 Questions is a complex but funny game, where one player tries to guess what the other is thinking. You start by secretly imagining something, someone or a place, and then let your partner guess what it is by asking you questions. The main aim of the questions is to gather as much information as possible to help guess whatever is in your mind. You should only answer the questions being asked by saying either YES or NO. By playing this game, you'll be able to improve your vocabulary since you'll be practicing communication and sentence structuring in English. This game can be initiated by the teacher or the students themselves; and it test creativity, vocabulary, speed and listening skills. The teacher, or the first person in the team, shouts a word that falls within the theme and passes on the ball to another person in the circle. That person needs to think fast and shout another word in the same theme (without repeating what has been said) before passing it on to the next person. Anyone who takes too long to think or repeats what has been said is out of the game. To make it more interesting, you can change the rules. For example, the next person to receive the ball can give out a different theme before tossing it. This makes the game harder since the time to think is limited. In order to create time for such activities, you can consider hiring writing service for your essay papers. These English language games are essential in improving your vocabulary in an engaging and interesting manner.